Groceries are one of the necessities that have a lot of flexibility in the amount that you spend on food during the month. It is a tricky balancing act between finding the most affordable food options, while still maintaining a healthy diet. Then there is the factor of getting as much as you can for the amount that you spend. 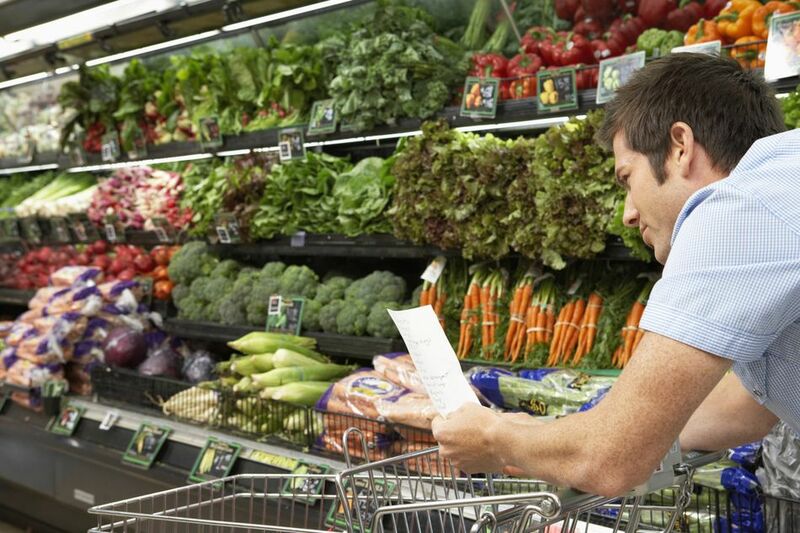 Here are ten strategies you can use to help you save at least $10.00 at the grocery store. You may not be able to use them all in one week, but if you make them a habit, the savings over the year can be significant. This is the biggest way to help you save money on groceries. A menu plan helps you to use all of the food that you buy each month. It also makes sure that you do not forget something that you need. It will help you to cut back on impulse purchases, which can add up quickly. This simple strategy can easily save you $10.00 every trip, and more if you consider the fact that it cuts down on trips to the grocery store. Shopping the sales can help you save a significant amount on your grocery bill each month. The trick is to stock up on the items that you regularly use when they are on sale, and then to plan your weekly menu around the sales to increase your savings. When you stack your coupons with the sales, you can save a significant amount of money. Not every item is at a lower cost per ounce in bulk, but a good majority of them are. If you know that you cannot use the item before it goes bad, then buying bulk does not make sense for you. However, you can freeze the meats you buy, and you can ask the butcher to cut larger items (like roasts) into smaller ones, or you can do it at home. This is one of the best ways to save on meat each week. Most grocery stores mark the meats down for a quick sale on the same day. If you can plan your trips to when this happens, you will be able to save a significant amount on your meat purchases each week. Just be sure to use the meat that day or to freeze it, and you will be fine. The savings can add up quickly. When you head to the grocery store hungry, you are more likely to add extra items to your cart. Everything looks good, and it can be challenging to stick to your menu and your budget. Plan your trips to take place right after a meal or eat a small snack before you go shopping. If you can go when you are not exhausted, you can also cut down on your impulse purchases. You can save money by comparison shopping and shopping at multiple grocery stores for the items that you need. You may choose to go to a warehouse store to stock up on the things you use in bulk each month, and to a specialty store for spices and other items. Plan a route when you do your grocery shopping, and you can save a lot overall by shopping at several different places. A price book will allow you to track and compare prices across stores. Have you ever gone to the store for a gallon of milk and walked out with a bag full of groceries? If you can do all of your shopping on one day, you will save money by avoiding impulse purchases. Some people try to do the majority of their grocery shopping the first week of the month and then only pick up fresh produce and milk later in the month. The more you can limit your trips, the more you will be able to save. Clipping coupons has gotten a lot easier with online sites and apps that you can use on your smartphone. Just a few coupons each trip can add up to real savings, especially if you can stack the coupons with the sales for your store. You do not have to be an extreme couponer to take advantage of the savings that are offered by the manufacturers. One of the easiest ways to save is to try out the store brands. Many of these are made in the same plants as the manufacturers of the major brands. The quality and taste may be the same or better. Start by trying a few items at a time. You may find that the pasta, milk, and eggs are great as the store brand. Items like garbage bags, cleaning supplies, and toilet paper may be comparable as well. If you have always shopped at the same store, you should check out the other stores in your area. Additionally, do not forget to look online for savings. You may be able to save on some items by signing up for monthly delivery on items from Amazon or other online stores. The savings can really add up over time.